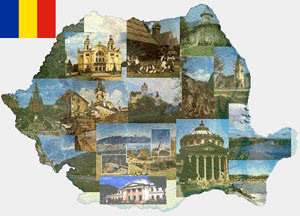 The best time to visit Romania is in the spring late March to the beginning of June and Autumn late September to early November, but one can also come during the summer months June to September, provided they get away fast from the hot areas of the south and the capital, especially. The late spring months and the summer months May to September are actually the best times to see birdcolonies in the Danube Delta. Winters are harsh but are the best times to enjoy skiing. The carpathian mountains are beyond expectations. Capital of Romania, Bucharest has a little more than two million populations. It is a very green and pleasant city, and you will circulate easily on foot or by subway, to the discovery of an architecture blending several styles, ruins of a 15th century palace, the Arc de Triomphe, Orthodox churches, mansions second Empire, Stalinist buildings like the huge palace of Parliament. Many museums are also worth visiting the Village Museum, in the open, the National Art Museum, the National Museum of History, among others. You may also be the chance to attend performances at the opera or concerts of the Philharmonic Orchestra George Enescu. The shopping centre will ill offer your strolls its streets and shopping streets, pavement cafés, and local restaurants. Another focus of the new trend of a casinos which are worth in Bucharest the nickname of Little Las Vegas and attracts players worldwide. Go then to the discovery of one of the oldest cities in Europe, you may be surprised and seduced by its varied attractions, between modernity and traditions firmly dynamic footprints of legends.